The Alabama Department of Public Health is arresting Lowndes County residents because they cannot afford to buy septic tanks. In some cases, the cost of the required technology exceeds a resident’s annual income. Additionally, residents pay for water and sewer services so on paper they have access to sanitation but in reality they do not. Lowndes County’s median income is $23,000, 31% of the population lives below the poverty line, and 40 to 90 percent of households have poor or no access to sanitation infrastructure. Seventy-three percent of the county is African American compared with a state average of 26% and a national average of 13%. Lowndes County’s population has been steadily declining since 1900 when the population stood at approximately 37,000 individuals. In 2010, about 11,300 people lived in Lowndes County. However, because of growth in the manufacturing industry, the US Census Bureau and the University of Alabama estimate that the population will increase to 12,300 by 2035. In 2010 the United Nations recognized that access to water and sanitation is a human right, emphasizing that they are “indispensable for leading a life in human dignity.” The lack of adequate sanitation infrastructure in Lowndes County has attracted the attention of the United Nations Independent Expert on the Human Right to Water and Sanitation, and Food and Water Watch identified Lowndes County as a “water hot spot” in the United States for its lack of sanitation infrastructure. The lack of access to adequate sanitation and wastewater treatment systems poses significant risks to individual and community health. The county ranks last in health outcomes in Alabama, which includes a measure of access to sanitation. The problem of inadequate sanitation in Lowndes County also brings environmental justice issues to the fore. Environmental justice entails “everyone enjoy[ing] the same degree of protection from environmental health hazards and equal access to the decision-making process to have a healthy environment in which to live, learn, and work.” The conditions that residents face in Lowndes County and the legal consequences they endure instead criminalize poverty. The Equal Justice Initiative, which traditionally focuses on providing legal representation to prisoners who were unfairly represented in the legal system, is now expanding its work to include legal representation for Lowndes County residents who have been arrested for not having a septic tank. The Duke Human Rights Center at the Franklin Humanities Institute, in partnership with the Alabama Center for Rural Enterprise (ACRE), is developing a project to address some of the problems facing Lowndes County. ACRE is a non-profit organization founded in 2002 with the goal of improving infrastructure in poor, rural communities in Alabama through participatory involvement from the community in its efforts to improve their quality of life. As part of its programming, ACRE is focusing on remedying the poor sanitation conditions in Lowndes County, which partly entails examining the connection between environmental and socioeconomic inequalities, focusing on environmental justice in poor, rural communities in Lowndes County. In order to explicate the extent to which environmental injustices can worsen socioeconomic inequalities—in this case the lack of access to wastewater infrastructure—five undergraduate students will be tasked with conducting field research consisting of surveys and interviews with community members on access to wastewater infrastructure; their perception of their water system, their environment, and their health and wellbeing; and their perception of access to government officials, non-governmental organizations, and water utilities. The purpose of the field research, which ACRE will facilitate, is to use the data collected to provide a foundation for understanding the convergence between environmental justice, poverty, and access to sanitation infrastructure, which will enable further research on how to address the problem and mitigate its consequences. UN Report of the Special Rapporteur on the human rights to safe drinking water and sanitation, Catarina de Albuquerque. Al Jazeera America: Filthy Water and Shoddy Sewers Plague Poor Black Belt Counties. Chandra Christmas-Rouse is a senior at Duke studying environmental science and policy with a concentration on urban planning. She serves on the President’s Council on Black Affairs where she works with the administration on initiatives to address the needs of the black student population. In addition, she helps students to develop a critical consciousness around identity and make Duke an inclusive space. 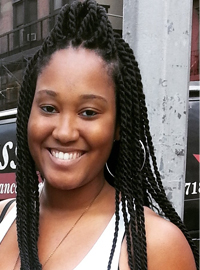 Chandra is interested in the use of urban planning to combat environmental justice, and hopes to use her advocacy skills to work with marginalized communities so that they are meaningfully involved in the planning and development of their communities. 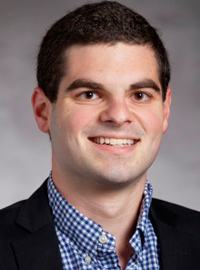 Jacob Rosenberg is a rising senior Robertson scholar at the University of North Carolina at Chapel Hill majoring in American Studies and Public Policy. He has been a teacher in the Mississippi Delta, a research assistant for a book on Chinese politics, and an Intern at Late Night with Seth Meyers. His interests range from Southern history to stand-up comedy, but always come back to the stories that create a better world. 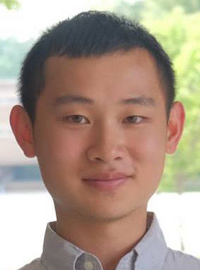 Jeff Feng is a rising junior from Virginia majoring in Environmental Sciences and Policy and minoring in Economics. He is interested in the intersections of environmental justice and sustainability, if at all, particularly in the realm of energy. In his free time, he frequents local farmer’s markets, reads books that were once trendy, and watches docufiction films. 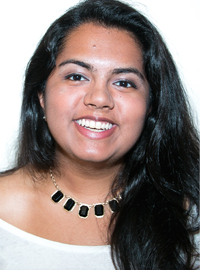 Priyanka Kanal is a Trinity junior and a proud Chicagoan. At Duke, she studies Public Policy, Economics, and Global Health and has fostered a passion for human rights and public health advocacy. In her spare time, she enjoys talking fast, drinking cappuccinos, and supporting the Blue Devils at Cameroon Indoor Stadium. 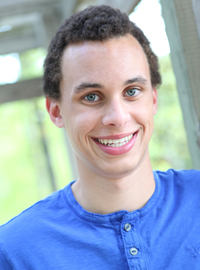 Bryce Cracknell is a rising sophomore at Duke University from Charlotte, NC. He intends to major in Public Policy with concentrations in either human rights and/or environmental policy. During the spring semester he conducted an independent research study of Lowndes County’s social, economic, and environmental components, and looks forward to continuing the work this summer. 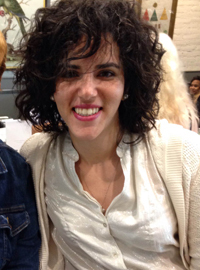 Farah F. Hegazi is a Ph.D. student in environmental policy, with a concentration in political science. Her research interests are in political institutions and environmental politics in fragile and conflict-affected countries, specifically state capacity and water service delivery, water security, and human security. She has previous research experience in environmental peacebuilding, transboundary water cooperation in the Nile Basin, and the security implications of energy, food, and water scarcity. Farah holds a BSc. in environmental science from McGill University and a master’s in environmental management from Duke University.